To update you on the Gateway at Millbrae BART project, on July 14th the Daily Journal published another article on the subject - "116-acre Site Clash Continues: BART Developer Wants to Break Ground, but Millbrae Official Still Remains Critical". So what arguments remain? Not surprisingly, the City officials worry about the traffic impact while Republic Urban, the developer, worries about losing the time window favorable for developers at the present time. No doubt, the traffic concerns have to be addressed. But I also hope that City officials have a vision for Millbrae’s future. What is it? How does the Gateway project fit this vision? Who will be the residents of Millbrae 20 years from now? What will be the City’s role in the context of its neighbors: Burlingame, San Bruno, but also San Francisco and Silicon Valley? It is unfortunate that we often plan the future based only on what we know best - our past. While reading the comments to the Daily Journal article I found a refreshing exception and it is a comment from a young Millbrae resident, Laurie Tanjuatco. Laurie understands that one cannot plan the City based exclusively on the past. Maybe it is what Millbrae needs - an input from young adults - on what Millbrae should/could become? The City of Millbrae officials should be planning and shaping the city for this generation! I know that the time is very scarce, but it is not too late to reach out to Mill High School students and the Peninsula young professionals and ask them to help come up with a vision of the City. Let's see if the Urban Republic proposal supports or could support such vision. No one can predict the future, but we definitely should try to envision the Millbrae of tomorrow. Only then we can really investigate how well the Republic Urban project might support this vision. After all Millbrae is not in a desert, but it is part of SF Peninsula, the most vibrant community in the entire country. Let’s make sure that Millbrae does not stay behind. The approvals for important development projects take time (and they should). The Gateway at Millbrae project is a small part of the much larger 1998 area plan and it predates the Millbrae BART station itself by five years (Curbed SF). Following years of planning and extensive deliberation the Millbrae City Council narrowly approved the policy guidelines for future development in the 116 acre site near the station on February 9, 2016 (Daily Journal). 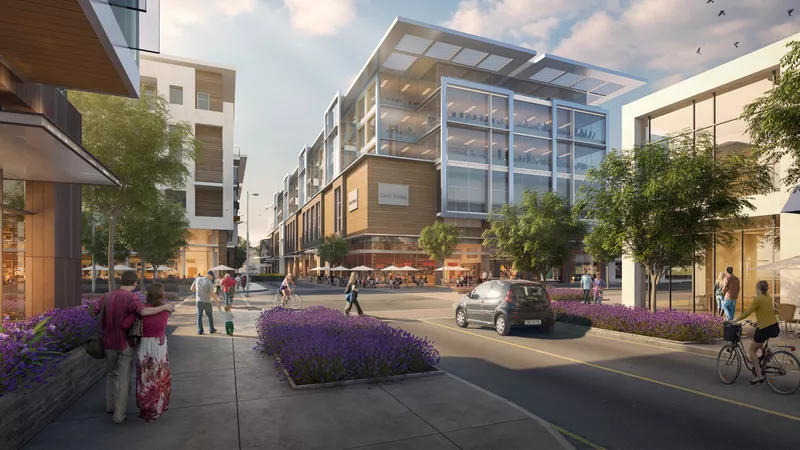 In early April, San Jose developer Republic Urban Properties updated the Millbrae Council on their latest plans for new housing, new office and retail space and a 116-room Marriott hotel (TOD 1). As described at the project website (Republic at Millbrae) the project envisions two phases, TOD #1 and TOD #2. 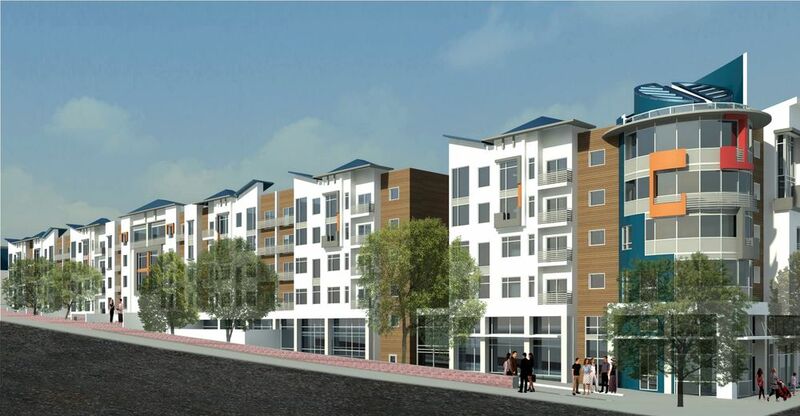 The proposed TOD #1 project proposes new mixed-use development on the station properties located immediately west of the Millbrae Station. It proposes construct medium density multi-family residential units for up to 1,325 residents and office space for up to 1,148 employees. 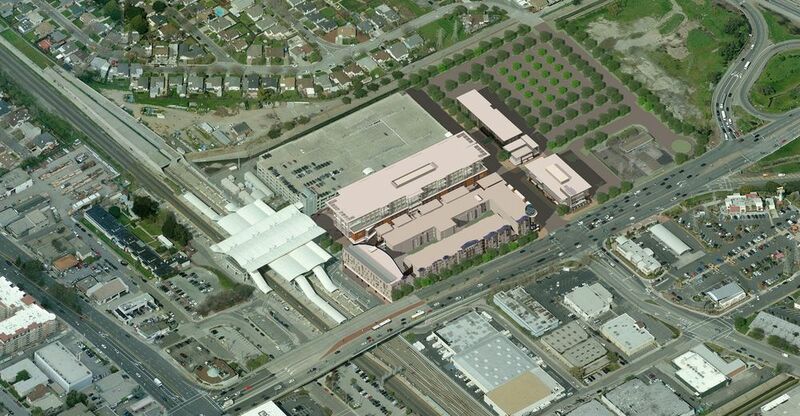 The project also includes underground parking and an enclosed galleria retail corridor. The proposed TOD #2 project proposes development for a BART-owned site that is located immediately east of the Millbrae Station. For more information about the project you can watch the following video. So, what's next? The project is slated to be completed by mid-2019, given that there aren't more delays. The Millbrae Planning Commission meeting is supposed to happen in August-September time-frame. Following their recommendation - the City Council will meet to give its approval sometime in the fall of 2016. But, the project might need your help. I was approached to post the link to a petition to Millbrae Mayor Anne Oliva - We Support the Gateway at Millbrae Station. The petition will be delivered to all five Millbrae City Council members. We definitely need transparency from the Millbrae City Council in making this important decision, not only for Millbrae, but for the entire Peninsula. I personally believe that project should go ahead, of course with public oversight of both, developer and the City of Millbrae City Council. The new CFPB (Consumer Protection Financial Bureau) mortgage disclosure rules are coming to life on October 3, 2015. Their purpose is to protect mortgage consumers better. It is important to know what these new rules are and how they might effect you if you are planning to buy or sell a house in the near future. The new mortgage disclosure forms will be easier to use and more clearly lay out the mortgage terms for home-buyers, But also, it will be taking longer for lenders to fund loans and thus to close home sales. Let me start with explaining how the new rules came to life. The mortgage crisis might seem like a distant history to many by now, but many lives have changed forever as its results. The negative consequences of the crisis are the hard reality for countless people who became unwilling pray to predatory lending practices preceding the crisis. The CFPB, was created as a result of Dodd-Frank Wall Street reform that was enacted to law in 2010. The agency was initially proposed by Elizabeth Warren, currently a US Senator from Massachusetts. It is independent and powerful agency with interim affiliation to the US Treasure Department. According to the CFPB website its role is to "promote fairness and transparency for mortgages, credit cads and other consumer financial products and services". So, what are the new changes we should expect? For over 30 years lenders were required to deliver two different overlapping disclosures to consumers after receiving mortgage applications, Good Faith Estimate and Truth in Lending Disclosure. There will be a new form now replacing these forms providing a summary of key loan terms and estimated loan and closing costs. You can click on the Know Before You Owe link to see form examples and read how the new forms compare to the old ones. The CFPB conducted more than two years of extensive research and testing to find out how to disclose existing laws in a way that consumers understand. Specifically, the new forms are supposed to help consumers better understand loan risk factors (e.g. prepayment penalties, larger than usual payments, etc), short term and long term costs (more easily explaining the total coast of the loan) and monthly payments. Another assumption behind new forms is that the easier to understand forms will help consumers to compare better competing mortgage offers and shop for closing costs. So, it seems all positive. However, there is unwelcome impact as well. Better experience for home buyers will slow down the overall closing process for Realtors, mortgage lenders and title (escrow) companies (and of course to principals, sellers and buyers). Basically, a typical until now 30 day closing will most likely change to make 45-day closing the new norm. The new rule requires that homebuyers have three business days to review the closing disclosure before signing off on the loan. This change will be further enforced by greater financial penalties for errors forcing lenders to slow down their mortgage lending process by as much as 15 to 20 days. So, please expect the 45 day home buying contracts to be new norm starting on October 3, 2015 - the day new regulations will come to life, at least for now. Cimpler Real Estate has gone mobile! Cimpler has gone mobile so you can do your home search, share your searches and contact me wherever you are. Just go to the AppStore (iPhone) or Play Store (Android phones) and type "Cimpler Real Estate", install the app and then click Open. You will be taken to the menu of choices allowing you to do home search in the entire Bay Area, share listings with others, contact me (text, call and email) and most importantly, find out how I can help you. If you buy a property with me, you will pay less for a house than if you would buy from an agent charging you a commission. The app is specifically designed to run on mobile phones and not just "responsive" version of the Cimpler website. Unfortunately, Android phones do not yet support full functionality available on iPhones including explanations of the "Cimpler-Way" method of home buying. So, if you happen to use an Android phone click http://cimpler.com/The-Cimpler-Way on your PC to read the explanation there. In my previous post Burlingame’s Hoover Elementary Upheaval I reported how less than diligent effort on the part of the Burlingame Elementary school district ended up in the judge Marie Weiner's ruling to halt the Hoover school construction. She ordered a fully fledged environmental impact review at the previous hearing. The school district decided not to appeal it, but ask for permission to secure the size before the environmental impact report is conducted. The judge Weiner made no ruling, but is planning to visit the school to see herself what has to be done. She might appoint an independent consultant to see what is necessary to ensure that the buildings are safe. With the full Environmental Review ahead the school would likely open in 2018 at the earliest. You can more about it in the Daily Journal article. As Burlingame hoped to alleviate its shortage of space in its elementary schools caused by rapidly growing enrollment, the San Mateo County Superior Court Judge Marie Weiner put a halt to this plan and ordered a full environmental impact report. The plan was to reopen the Hoover Elementary closed in 1979. The Burlingame Elementary re-purchased the school in 2010 and planned to open in this year. However, the lawsuit was filed by local residents who worried about the impact of the school on the traffic. The judge ruled that the construction of the Hoover Elementary must be halted until the environmental impact of the school is thoroughly researched. You can read more about the ruling in the Daily Journal article of May 9, 2014.
Who is right? School opponents or school supporters? The Hoover school was originally opened in 1931 and closed in 1979. Did neighborhood experienced traffic problems then (weren’t cars much larger then, thus taking more spaceJ)? How about the benefits for the city or the neighborhood? It happened that the Canyon Rd area that would be most affected by the school opening is the area where home prices are lagging in contrast with the remainder of Burlingame where home prices have dramatically increased during the last two years, well above pre-real estate crisis levels. Analyzing the data, one could say that home prices in this area has even stagnated. One might think that the new school could reverse the trend. There will be many more losers of the recent decision independent of the results of environmental studies. The cost renovations and new equipment of $13 M were supposed to be paid by Measure D, a $56 M bond measure passed by Burlingame voters in November 2012. It seems that the 2012 voting was a better time to disagree with the project. How much money is going to be spent for the litigation? And if at the end, the decision will be made to go ahead and open the school, where will the money to open the school come from? Will we need another bond to pay for it? Independent on the final decision, everyone in Burlingame will lose financially (less or more dependent on the length of the litigation and the final decision). Of course, local residents who filed the lawsuit used their rights to challenge the project. The Burlingame Elementary School District failed in its duty to properly research the school impact on the neighborhood traffic. The District should have responded to neighbors’ concerns about traffic impact and address it in appropriate manner averting a full environmental investigation and its unknown consequences. Many newcomers to San Francisco has never heard about it. Little Hollywood is a small neighborhood in the southeastern edge of San Francisco. It is centered between Blanken Avenue, Bayshore Boulevard and U.S. Route 101. Little Hollywood Park, one of the local landmarks is located on Lathrop Avenue, and the Bayshore Caltrain station just south of the neighborhood, on Tunnel Avenue. It is well hidden in the plane view. 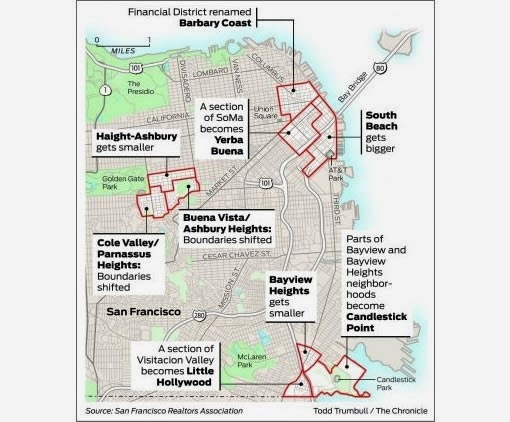 The Little Hollywood was considered to be a part of the Visitacion Valley until recently, but in 2009 together with a few other neighborhoods (see the map), such as Yerba Buena, Barbary Coast it was elevated to become an “independent neighborhood” of San Francisco. There is ongoing discussion where its name is coming from. It does not look as anyone knows for sure, but according to Ron Filion, the author of the San Francisco Genealogy some of the tall tales include: "1. Mae West, the actress, built and lived in a large home there during the 1939 International Exposition; 2. That the developer of Hollywood moved north with his plans and duplicated them there; and 3. That it was once a secret enclave of movie stars.” Choose the one you like! Little Hollywood definitely has a feel of a separate neighborhood. It really is a quiet oasis of palm trees and Spanish architecture. "One of the biggest problems for the neighborhood appears to have been traffic and parking caused by crowds for the 49ers and Giants game” according to Filion, but this is not going to last. Below, are a few pictures of the Little Hollywood neighborhood, both the old and new and its surroundings. So, if you have not discovered Little Hollywood yet, check it out. San Francisco has big plans for the Candlestick Park area just across the highway 101 and these plans will undoubtedly impact the future of this neighborhood. Artur is a serial entrepreneur. Together with two partners he recently relaunched Cimpler Real Estate, originally started in August 2006. Cimpler's new focus is on enabling home buyers to save by buying only the real estate expertise they really need. This effort was preceded by BuySquareFeet service that allowed clients to submit offers through online negotiations. 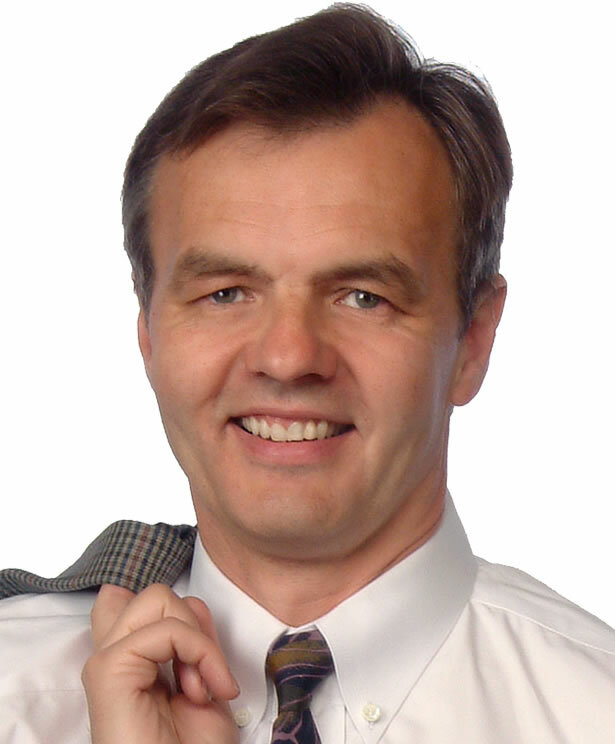 Prior to getting involved with real estate, Artur launched Cimpler Technologies enabling peer to peer collaboration. During the dotcom boom he managed Qool.com that launched a free auction service (it became the 7th fastest growing website in December 1999, beating eBay in stickiness). While with NYNEX (today Verizon) he built and managed NYNEX Science & Technology Asia subsidiary in Bangkok, Thailand. Artur is a resident of Burlingame, CA.